ZENO GmbH was the first company to design and manufacturer the low noise, low speed, single-shaft, vertical or hopper type shredders so widely in use today for so many different industries. And, they have been manufacturing Horizontal Grinders for even longer! Eurohansa has been selling and servicing ZENO Shredders in the U.S. and Canada since our establishment in 1988, making us the oldest shredder company on the continent under the same name and ownership. We stock all parts for every shredder we sell, right here in High Point, NC. There are many types of applications for our shredders, and every application requires a certain amount of production from their shredder. From vast experience, product testing, development and extensive knowledge, ZENO offers these world-class machines in over 90 different sizes, with many different configurations and components depending on the end user’s application parameters. 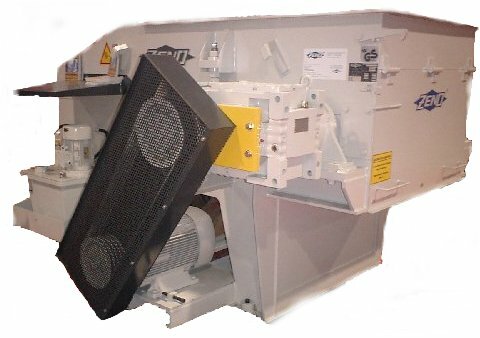 We also offer the widest range of unique design features and options of any shredder manufacturer in the world! Shredders are called by several names. In the plastics industry most refer to these single-shaft machines as shredders. 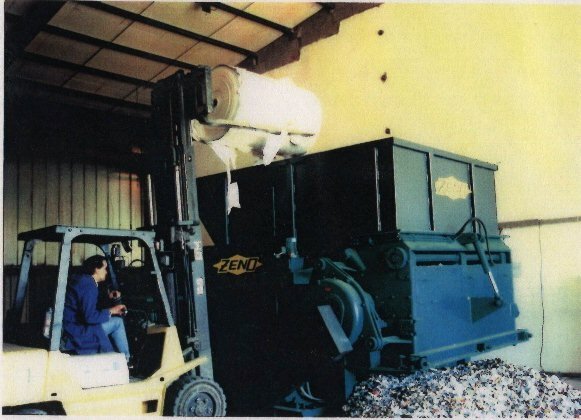 These machines (originally developed and manufactured by ZENO GmbH) came from the wood industry, where some refer to shredders as grinders. 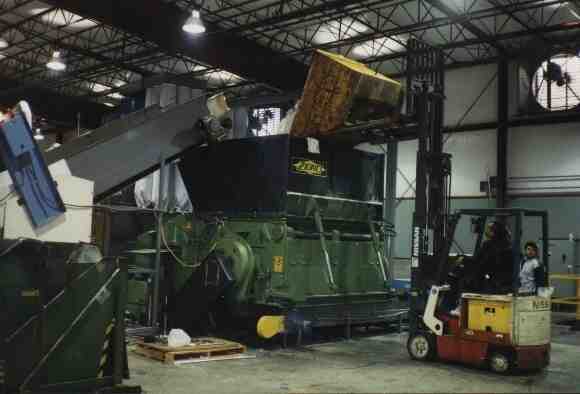 Commonly used because these machines allow ‘batch-feeding.’ That is; Huge quantities can be wholly dumped into the machines vast hoppers using box-dumpers or self-dumping hoppers, even front-end loaders, & left to do their job without supervision or constant feeding. 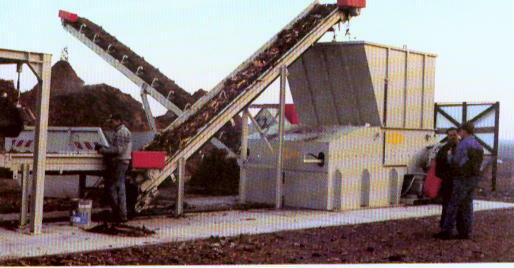 In the plastic industry (until fairly recently) feeding of scrap plastics had to be done by hand, into high-speed granulators. Whether directly into the granulators, or stacked onto conveyors, the process was (is) a very dangerous and very labor intensive job. This ruled out the recycling of many forms of plastics like purgings or large molded parts. 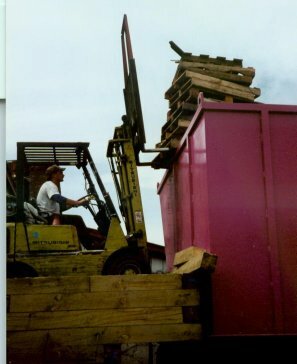 These were mostly land filled until the shredder was introduced into plastics. Today the shredders are installed in all facets and applications. Shredders for plastic are used for the initial size-reduction phase. In some applications, the chips from the shredders are automatically transferred by conveyor into the granulators for finer size-reduction. In others, the shredders generate the required chip size without granulating. Suddenly, purgings are reclaimed without danger of wrecking granulators. Boxes full of film can be dumped and reduced at once and large molded parts are reclaimed without cutting them down first. No matter how you load it, or what you load into it, trust ZENO Shredders for your recycling needs. Often copied, never matched...ZENO Shredders are the culmination of more than 25 years of manufacturing and application experience, which show in every detail of our heavy-duty machinery. Packed with design features and engineering know-how, the ZTLP shredder is available in more than 30 different (standard) sizes to suit virtually any application. For throughput capacities from 200 lbs/hr up to 20,000 lbs/hr, with your choice of classifying screens from 3/8” up to 4”, ZENO-through Eurohansa, Inc. delivers the perfect machine for your application. Check out the quality components & attention to detail that make up a ZENO Horizontal Shredder! Click on the Components button for more information.